Honda is a global designer, manufacturer and seller of cars, motorcycles and power products. Since its foundation in 1948, the Japanese manufacturer has always stood at the forefront of the production of motors providing cleaner emissions, lower noise levels and superior performance — motors that never let the end user down, whatever the season. Honda Motor is the largest manufacturer of motors in the world and is a leader in the fields of mobility, safety and the environment. In 2010, the Japanese brand sold over 26.9 million products, comprising 3.5 million cars, 18 million motorcycles (including mopeds and scooters) and 5.4 million units of power products (such as outboard motors, generators and lawnmowers). 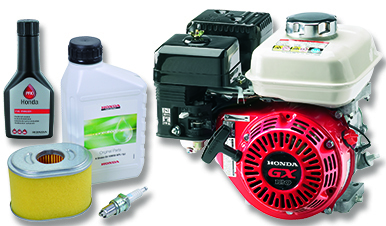 Honda's famous four-stroke technology enjoys legendary status around the world. Honda has 134 production sites in 28 countries, with a total of 182, 000 employees.